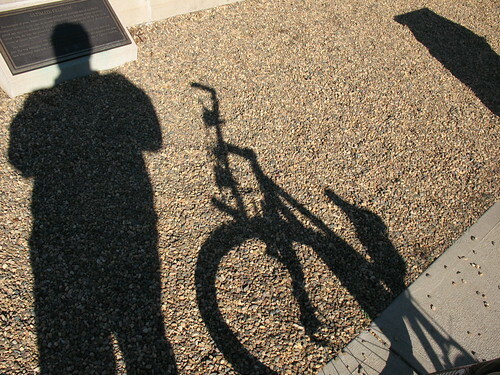 Yesterday was the coldest day of this winter so far I figured it would be a good day for a bike ride. 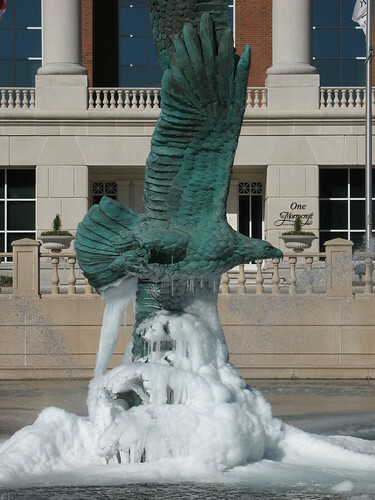 I swung by work to say howdy and saw that the fountain in the middle of the business park had iced over and ice had accumulated on the statue in the middle. It was purty. Yesterday was the coldest day of winter so far and the snot in my nose froze.